Nielsen SoundScan is an information system that tracks sales of music and music video products throughout the United States and Canada. Sales data from point-of-sale cash registers is collected weekly from over 14,000 retail, mass merchant and non-traditional (on-line stores, venues, etc.) outlets. Weekly data is compiled and made available every Wednesday. Nielsen SoundScan is the sales source for the Billboard music charts. ASCAP is a membership association of over 250,000 U.S. composers, songwriters, lyricists, and music publishers of every kind of music. Through agreements with affiliated international societies, ASCAP also represents hundreds of thousands of music creators worldwide. ASCAP is the only U.S. performing rights organization created and controlled by composers, songwriters and music publishers, with a Board of Directors elected by and from the membership. ASCAP protects the rights of its members by licensing and distributing royalties for the non-dramatic public performances of their copyrighted works. ASCAP's licensees encompass all who want to perform copyrighted music publicly. ASCAP makes giving and obtaining permission to perform music simple for both creators and users of music. BMI is an American performing rights organization that represents more than 300,000 songwriters, composers and music publishers in all genres of music. The non-profit-making company, founded in 1939, collects license fees on behalf of those American creators it represents, as well as thousands of creators from around the world who chose BMI for representation in the United States. The license fees BMI collects for the "public performances" of its repertoire of more than 6.5 million compositions - including radio airplay, broadcast and cable television carriage, Internet and live and recorded performances by all other users of music - are then distributed as royalties to the writers, composers and copyright holders it represents. Everything you need to know about using cover songs on your albums and how you go about doing it legally! Copyright is a form of protection provided by the laws of the United States (title 17, U. S. Code) to the authors of "original works of authorship," including literary, dramatic, musical, artistic, and certain other intellectual works. This protection is available to both published and unpublished works. Section 106 of the 1976 Copyright Act generally gives the owner of copyright the exclusive right to their works and to authorize the use of their works. 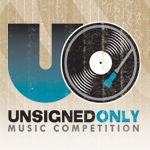 Unsigned Only is a unique international music competition geared toward solo artists, bands, and singers who are not signed to a major label record company. Unsigned Only is looking for an outstanding, talented performer...the "gem" of an artist waiting to be discovered. Unsigned Only has a highly esteemed judging panel, including recording artists such as Robert Smith (The Cure), Cyndi Lauper, 3 Doors Down, Manchester Orchestra, Kelly Clarkson, and many more. In addition to $5,000 and other great prizes, the Grand Prize winner will also receive one-on-one mentoring from high-profile music industry executives from some of the world's top record labels including Universal, RCA, Capitol, Atlantic, Razor & Tie, and many more. For more information and to enter, go to Unsigned Only. Your songs have been written, your tracks are recorded and your album art is designed; you are ready to learn how to sell music on iTunes and other music distribution sites. Being able to sell your music online marks an important part in an artist or band's career. Sharing your music with your fans is what you've worked for! As an artist you have two options for how to sell music on iTunes. In the first, Apple offers an application process, in which artists may apply to sell songs on iTunes. Your music will need to fit the iTunes requirements and the titles will need to be in digital versions. Also, each album will need a UPC (Universal Product Code) and each song an ISRC (International Standard Recording Code). Once an application is filed with iTunes, artists will have to wait for approval. Just as Apple has requirements for how to sell music on iTunes, other music retailers have their own specific needs too. eMusic, like iTunes, prefers artists to use aggregators to make your music available. AmazonMP3 and Google Play have similiar requirements as well. Again both your music and album artwork will need to meet the digital media requirements of all retailers before they will accept it. The second option of how to sell music on iTunes includes the use of an aggregator. Large name music retailers such as iTunes, AmazonMP3, eMusic and others use aggregators such as SongCast to receive music from artists. Aggregators are experts in how to sell music on iTunes. They are able to deliver the audio content to retailers for large scale public download. SongCast works with sites such as iTunes, Spotify, AmazonMP3, Google Play, eMusic and others to meet the requirements of each. Leaving artists with more time to do what they do best, make music. If you are interested in learning about any one of these processes in more detail, the resources listed above can help answer any and all of your questions. If you're ready to launch your music career then check out the Get Started section to start distributing your music to retailers!